Cage pendants won't block your view, so they're the perfect solution when you need a statement piece that lets you see through a room. 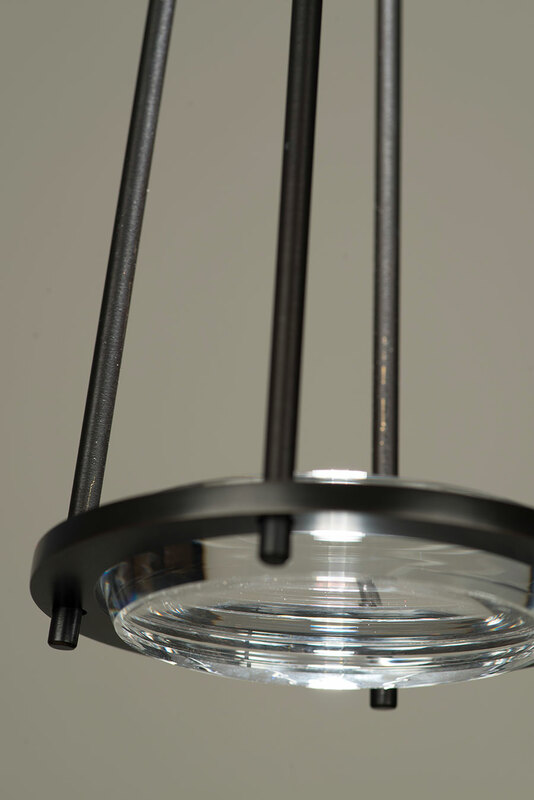 The Optic Pendant, which has a 5” diameter and 21” frame, hangs from a simple cord and is stylistically flexible. 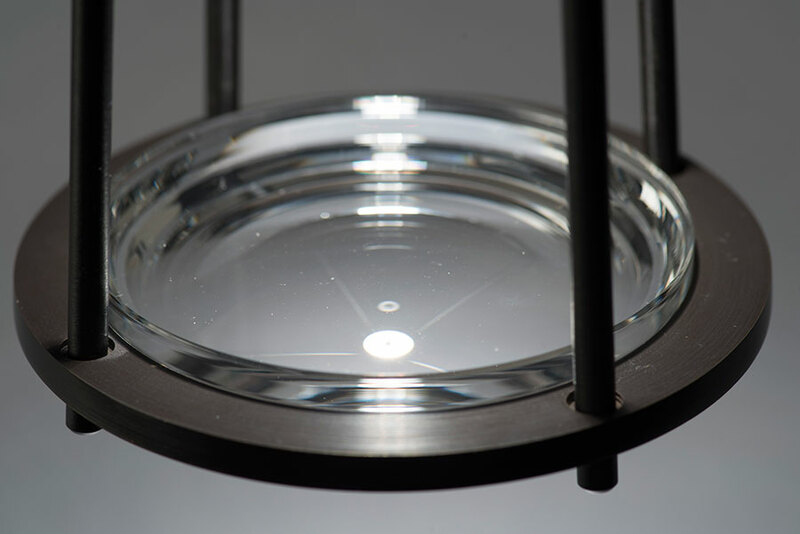 This little pendant comes in either Halogen or highly efficient LED lamping, and is perfect for residential spaces such as bedrooms, living rooms, dining rooms and kitchens, or for commercial and hospitality spaces. It is available in six metal finish options and six cord colors. Its small 5" diameter allows it to be hung in multiples. Shown here in the 2016 San Francisco Decorator Showcase master bathroom designed by Tineke Triggs, the Optic is great for small spaces and as task lighting. Try it over a kitchen counter! The Zucca Pendant’s light, airy, see-through cage allows it to fill residential and hospitality spaces without blocking a view. It is available in five standard powder coat options, or it can be customized to match any color scheme. In this boy’s room, the Zucca was powder coated in our specialty “Chalk Blue.” Multiple sizes, heights, finishes and lamping options give this fixture universal appeal. This vaguely Moroccan Marrakesh Lantern and its companion exterior rated Marrakesh Sconce use either halogen or highly efficient LED lamping. Its generous size makes it the perfect fixture for large residential or commercial and hospitality foyers, dining rooms, hallways, kitchens and living rooms. The open construction provides a nice view to the copper "flame" that is illuminated from above. 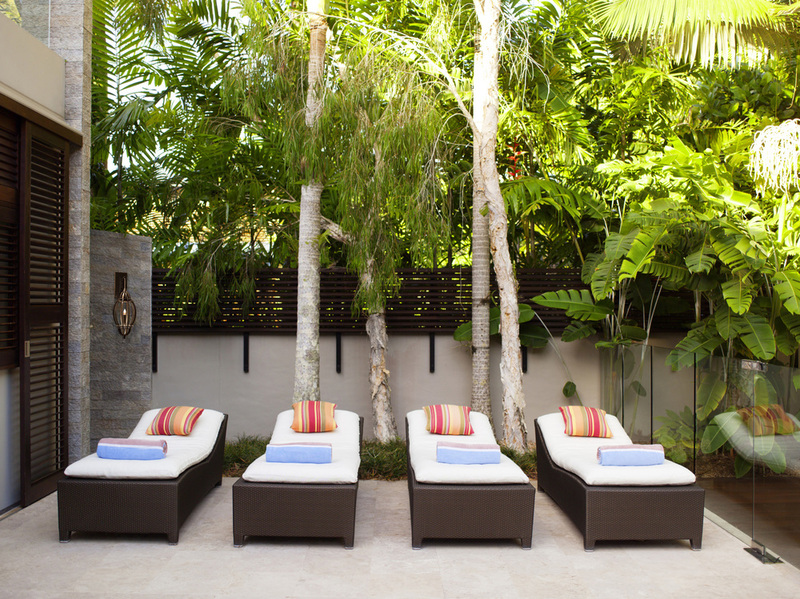 It is available in five standard powder coat options, or it can be color-matched to any scheme. The Cosmo Pendant has a light, airy, and see-through cage which means it can fill residential and hospitality spaces without blocking a view, like in this dining room. It is available in five standard powder coat options, or it can be customized to match any color scheme. 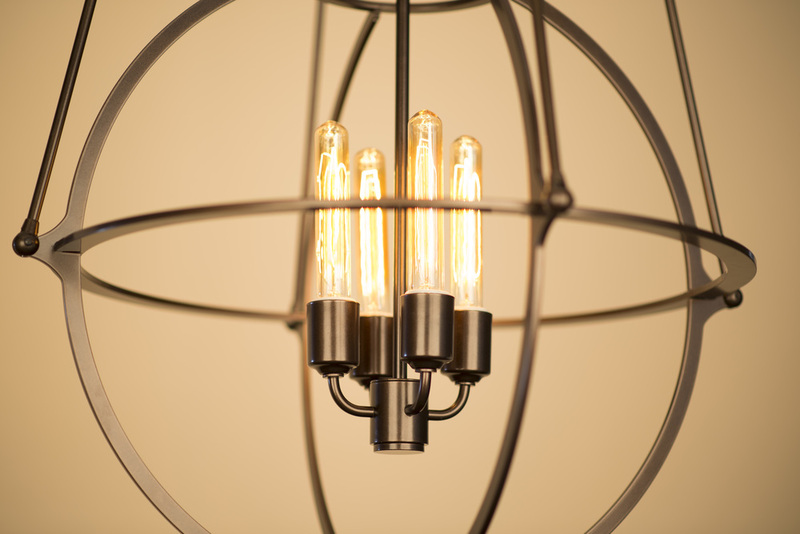 Multiple sizes, heights, finishes and lamping options give this fixture universal appeal. 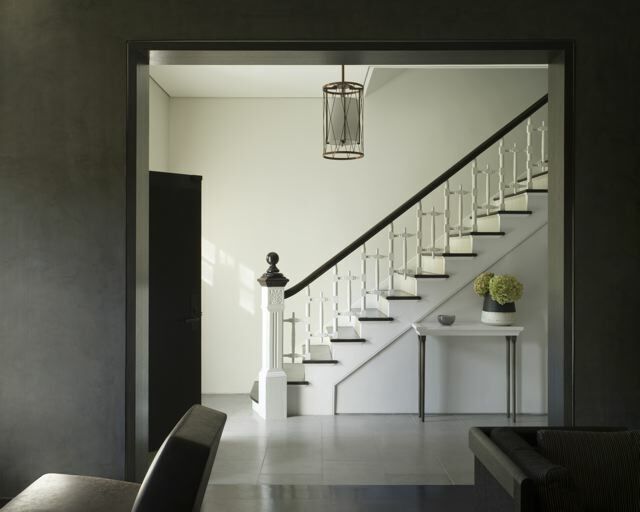 The fixture looks great in contemporary spaces, like this living room, or transitional spaces like this foyer. 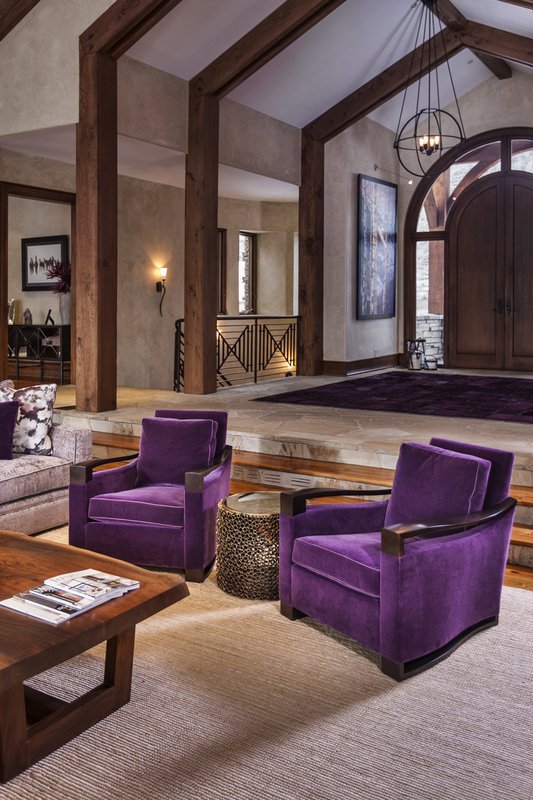 Interior design by Cathers Home. Photo by Michael Hefferon. Designed by Erik Chan for Boyd Lighting, the highly efficient LED Newton Jr. Pendant is the perfect fixture for residential spaces such as bedrooms, bathrooms, living rooms, dining rooms and kitchens, and works well in commercial and hospitality spaces. It is available in five standard powder coat options it can be customized to color-match any scheme, like this version in our specialty "Black Cherry" powder coat. 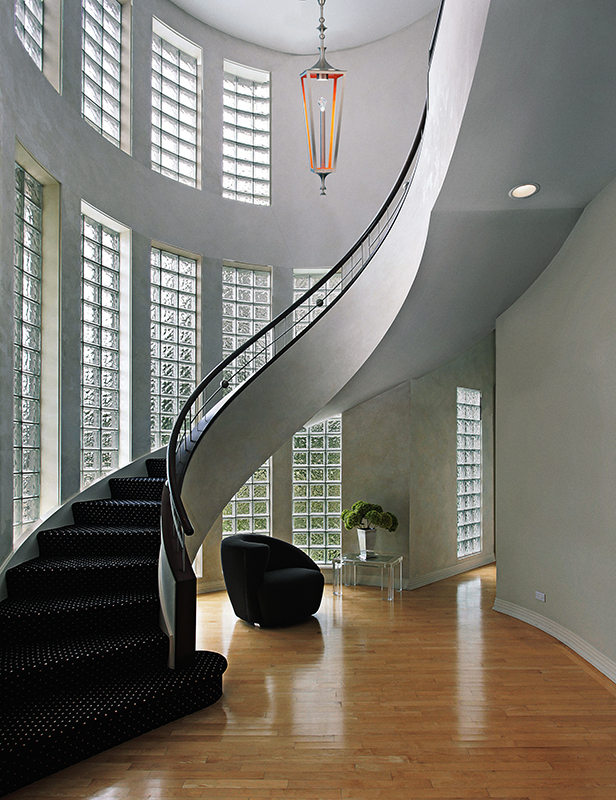 The large, exterior Regent Lantern and Regent Sconce, designed by Roger Thomas, have an open structure that is sure to surprise and delight. These fixtures are impressive in scale, and have a playful powder-coated interior that can be color-matched to any scheme. The "flame" tip made from either rock crystal or Swarovski faceted crystal bounces surprising light patterns on the surrounding area. Both fixtures are available in four metal finish options. 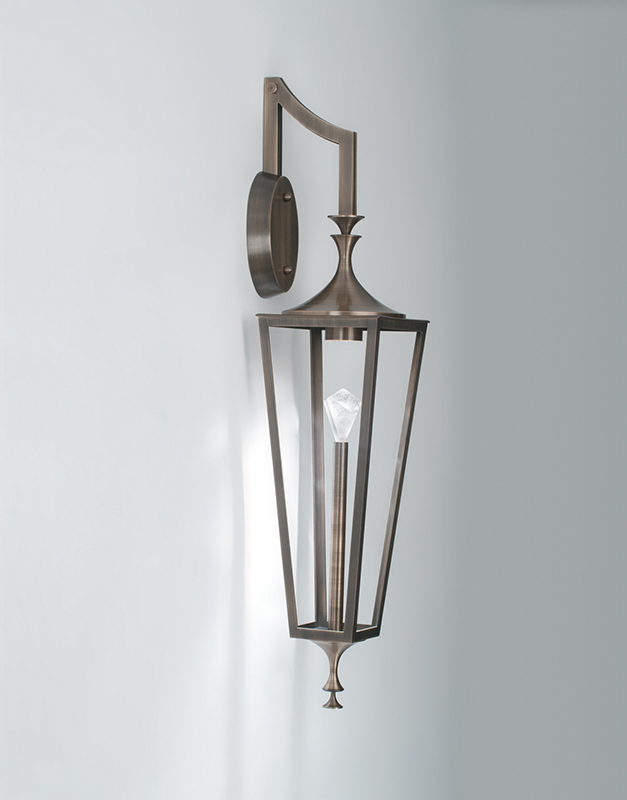 While slightly different than a traditional cage fixture, with a small shade under the cage, the Soleil Lantern Pendant is the perfect fixture for elegant hallways and foyers. 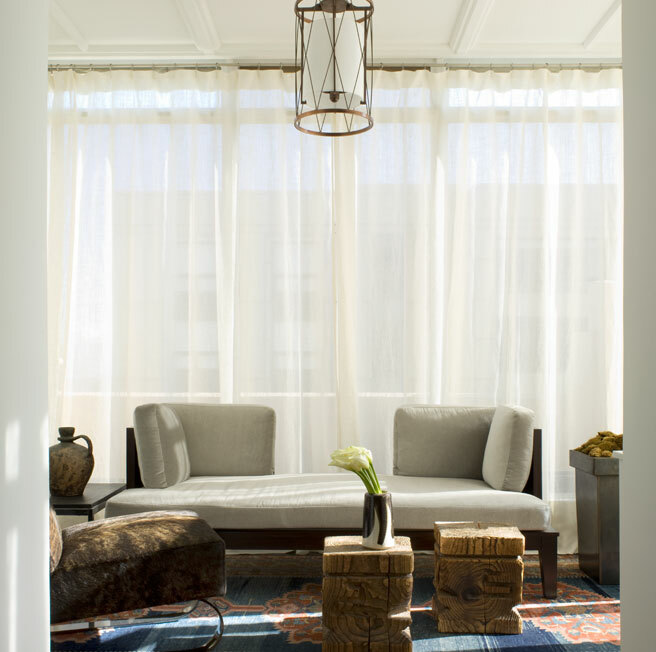 Designed by San Francisco's own Jiun Ho, it features his deep-hemmed signature shade and is a spectacular example of expert joinery from Boyd Lighting. It is available in five metal finish options.